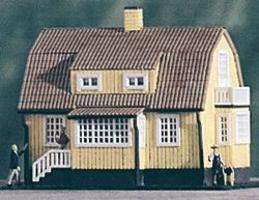 Shop online for 4 heljan model trains at discounts up to 16%. Roadway is the most popular of the 3 heljan model trains categories, then Buildings, and Scratch Supplies. 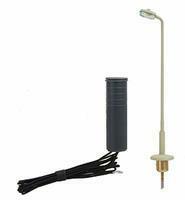 This is the Suburban Street Light Pale Green pkg(2) in HO-Scale from Heljan Plastic A/S. This is the Country Home by Heljan Plastic A/S. 5-1/5 x 4-1/5 x 4'' 13 x 10.5 x 10cm - HO-Scale. This is the Plastic Building Sheet Roof (beige) from Heljan Plastic A/S. 9-7/16 x 4-5/16'' 24 x 11cm pkg(4) in HO-Scale. This is the Short Passenger Platform Kit by Heljan Plastic A/S. 10-1/2 x 2-3/4'' 26.7 x 7cm - HO-Scale.